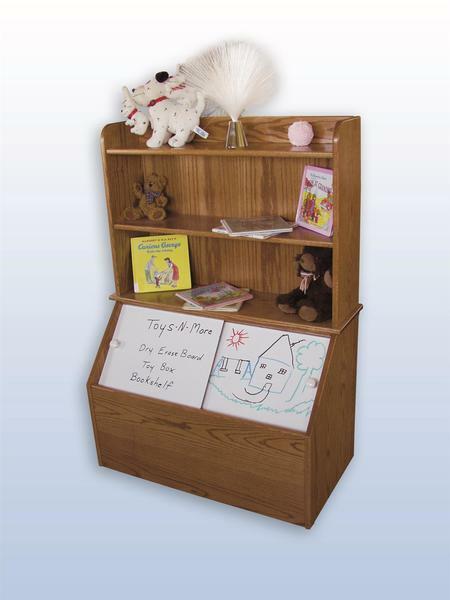 Keep things simple and well organized with the Amish Toy Box Bookshelf.There are three shelves for storage and storage below the shelves as well for your convenience. Choose for this bookshelf to be handcrafted in oak or brown maple wood. If anything is unclear, please call one of our Amish furniture specialists today at our toll free number - 866-272-6773.